For my taste, one of the most elegant crates of WW2... real beauty of a plane. Lightning will probably have some tough time vs 109s on even terms but should be able to hold its ground against Fockes... at least short nosed ones. Combining that with excellent range and ground attacking capabilities, it's gonna be a happy times. I can't wait for the P-38! Hey, that rhymes. I want to load it up with rockets for ground attack. P38 and the 51D. Been waiting for those in a modern sim for years. Bodenplatte is going to be great, but the Pacific is what I'm really holding out for. From the times of CFS2 I was looking for immersive WW2 (& Pacific) career, which will most likely come true with this series... perhaps it was nostalgia, maybe even the fact that CFS2 was my first real sim (online) experience, but there was just something that made me look after my electronic squadron mates, much more so that in another games... Rise of Flight was excellent at that too. Tactical ETO (Jugs; Stangs etc) is a close second favorite of mine to PTO...so life is good. I have a thing for the razorback P-51. Hope to see it in here someday. Most Fun I had in IL-2 1946 was with Wilcats and TBF Avengers. P-47 Jug rules! Same as P-51 I love the razorback. Sorry for the slight sidetrack dkoor but all three of these planes (P-38 P-47 P-51) kind of go together. This is the only reason I'm ok with not going to the Pacific.  I'm happy I'll be getting my Jug sooner rather than later, if the Pacific were first I'd be waiting a few more years. Good news is that we'll be able to use all these aircraft in a late war Pacific scenario, hopefully we'll get an P-47N as well as a Razorback. I'd also love to see a P-51C in game someday. P-38 is gonna be cool too but I'm more interested in flying it over the Pacific than I am flying it over Europe. Imlooking forward to it but I think It will take time to get good with it!!!!! BTW I just wanted to see my new ribbons. Hopefully, we will get aileron boosters and dive recovery flaps. Then enemy fighters shouldn't be too hard to deal with. If we will be less lucky... the Lighting still has some advantages. The most unique (and useful!) are backward downward visibility and counter-rotating propellers, IMHO. Now that you mentioned it, me too. About that razorback P-51. IIRC they were somewhat nimbler that P-51D in IL-2 1946 if for nothing else, than for those 2 deleted Brownings. Now that you mentioned it, I kinda recollect that old 1946 J didn't have dive recovery flaps... hope we got at least unlockable option with flaps for new P-38J😃. Not looking forward to it so much in the ETO. However I really enjoy it in the Pacific. Barging in on a group of Zeros then dashing away like Forrest Gump is great fun. 103rd after WW1 was consolidated into the 94th which flew P-38's in the MTO during WW2; so it will be a squad ride. I must admit though I'm more of a Thunderbolt fan. WAITING for the P-38. Love that birdy. Its sad that i dont get the L version but if its a late J (25) its ok. Maybe we will see the L later. Im also looking forward to P-38 , i like everything that uses Allison V-12 V-1710 !!!!! The plane I look forward to the most, mostly because of looks. The P-38 in one damn beautiful aircraft. Just don't let the MiG-3 hear that, she might get jealous! And you get to delete people with nose-mounted guns like a gentleman. Nose mounted .50 cals, Ahh. The 20mm cannon is just a bonus. Can't say I have any experience in this, but taxiing that tricycle 38 musta been much easier than probably rest of the competition... good visibility all around and stable (counter-rotating prop) platform. Advantage not to be underestimated, especially for rookies. P-38 was ahead of its time with some things. She won’t mind. We’re in an open relationship. It is easy to taxi in IL-2 1946, so it should be good in here too. Man, I can't wait, going to fly it in IL-2 1946 now! Is that like an open cockpit? Cuz in the I-16 if I don't treat her right she snap rolls on me and tries to dump me! The P-38 was anything but a rookie plane. so I snapped a pic of p-38 here in Udvar Hazy in Chantilly..
Any idea on what those gun looking shafts on top of the motors are? More precisely "turbo" part of the forced induction, as "super" part was located in the engine itself. Anyway, you can see them on the bottom of B-17 and B-24 engine nacelles as well. As for the plane, yup, it's the only reason why I decided to buy BoBP :D.
Yep, really looking forward to the 38, one of my favourite planes. Here's a great pic of a flyable P-38 called Glacier Girl. Well, out of the ten BoBP aircraft I'm definitely looking forward to the P-38 the most! Personally I'm glad they decided to change to the J model instead of the L. Hopefully not only for historical reasons, but also because they want to add the "Droop Snoot". I at least genuinely hope we get it as a modification. Love this airplane. The only bad thing about it is that I don't think we're gonna see it for at least a year! But we'll have some great airplanes coming before that to make the waiting a whole lot easier. "There were two P-38Ks developed from 1942 to 1943, one official and one an internal Lockheed experiment. The first was actually a battered RP-38E "piggyback" test mule previously used by Lockheed to test the P-38J chin intercooler installation, now fitted with paddle-bladed "high activity" Hamilton Standard Hydromatic propellers similar to those used on the P-47. The new propellers required spinners of greater diameter, and the mule's crude, hand-formed sheet steel cowlings were further stretched to blend the spinners into the nacelles. It retained its "piggyback" configuration that allowed an observer to ride behind the pilot. With Lockheed's AAF representative as a passenger and the maneuvering flap deployed to offset Army Hot Day conditions, the old "K-Mule" still climbed to 45,000 feet (14,000 m). With a fresh coat of paint covering its crude hand-formed steel cowlings, this RP-38E acts as stand-in for the "P-38K-1-LO" in the model's only picture. 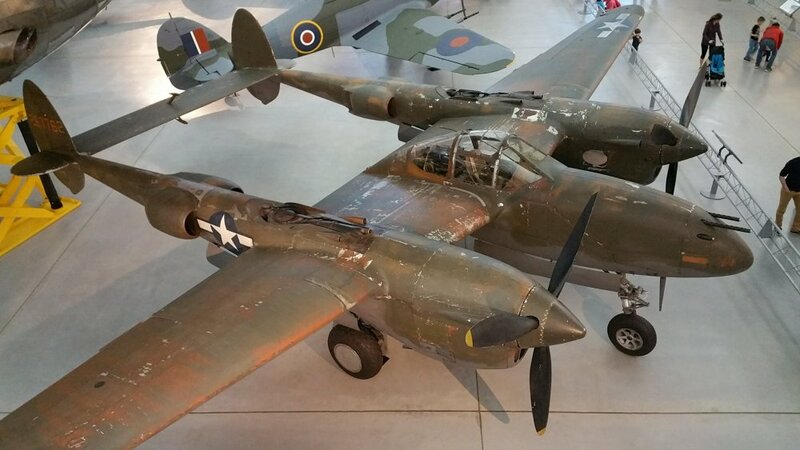 The 12th G model originally set aside as a P-38J prototype was re-designated P-38K-1-LO and fitted with the aforementioned paddle-blade propellers and new Allison V-1710-75/77 (F15R/L) powerplants rated at 1,875 bhp (1,398 kW) at War Emergency Power. These engines were geared 2.36 to 1, unlike the standard P-38 ratio of 2 to 1. The AAF took delivery in September 1943, at Eglin Field. In tests, the P-38K-1 achieved 432 mph (695 km/h) at military power and was predicted to exceed 450 mph (720 km/h) at War Emergency Power with a similar increase in load and range. The initial climb rate was 4,800 ft (1,500 m)/min and the ceiling was 46,000 ft (14,000 m). It reached 20,000 ft (6,100 m) in five minutes flat; this with a coat of camouflage paint which added weight and drag. Although it was judged superior in climb and speed to the latest and best fighters from all AAF manufacturers, the War Production Board refused to authorize P-38K production due to the two-to-three-week interruption in production necessary to implement cowling modifications for the revised spinners and higher thrust line. Some have also doubted Allison's ability to deliver the F15 engine in quantity. As promising as it had looked, the P-38K project came to a halt." Some interesting P-38 guncam footage, even shows some footage of a komet. Now the above post made me think is that a hurri in the background and it kinda looks like Duxford. So I searched google with terms Duxford and P38 and found this at the top ( it is sensitive and contains the death of a pilot so please do not watch if you are sensitive to such things).! Just below the above was the government report of the crash. Although short it is interesting. May he and the plane RIP! PS I must be dumb I didnt see "so I snapped a pic of p-38 here in Udvar Hazy in Chantilly"
A P-38 at a BOX level of detail is going to be my cup of tea indeed.